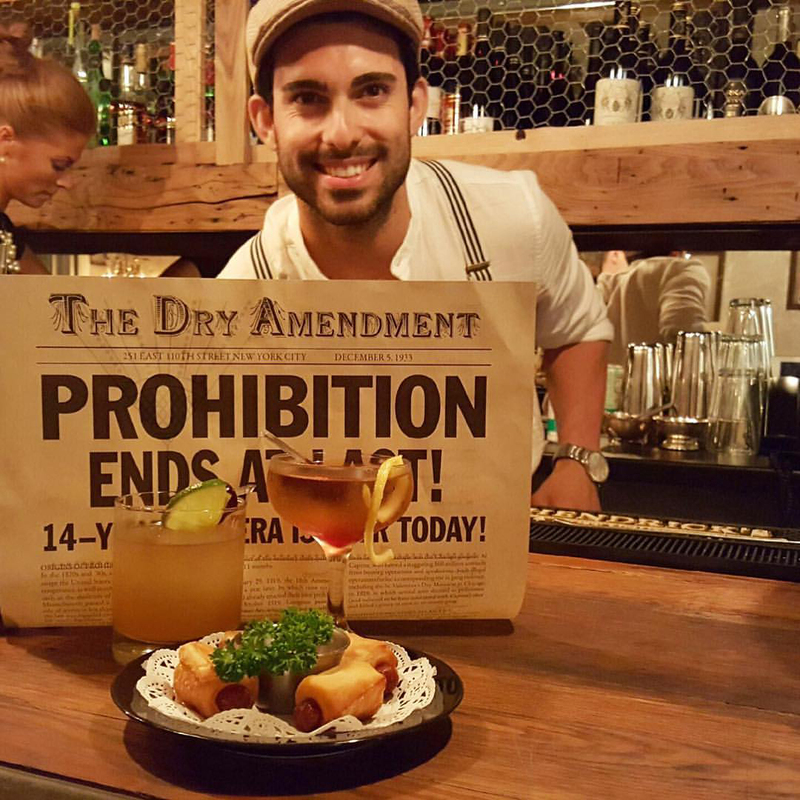 El Barrio, AKA East Harlem, AKA Spanish Harlem has a new speakeasy-ish bar and it’s pretty amazing. The Dry Amendment recently opened up, and by recently I mean like within the last couple of weeks. Basically on Thursdays through Saturday, after Mountain Bird has closed, the location then turns into a cocktail bar, under a different owner. Staff is incredibly friendly, and you may even see some familiar faces from Mountain Bird working the bar or floor at The Dry Amendment as well. Make sure to contact them for current hours and days of operation. When I last asked, they said that they would be open going forward starting at 11PM, on Thursday, Friday, and Saturday. Cocktails featured in the above image are the Peach Old Fashioned (left) and a Cuban Perfect Manhattan (Right). I also sampled The Lemoned Egg, which was delicious.